The Kremlin’s jets have landed in Syria. The drones are flying. And now, Russian combat forces are on the cusp of fighting to save what’s left of the Damascus regime from ISIS. Russian combat operations on behalf of Syrian President Bashar al-Assad are likely to begin “soon,” three U.S. officials told The Daily Beast. And Russian drone flights to spot targets for potential airstrikes are already underway. That concession by U.S. officials of growing Russian influence marks a shift from previous statements by officials who said they weren’t sure whether Russia intended to use force in Syria and enter into the country’s long and brutal civil war. There already are early signs that Russia plans to target moderate forces that threaten the Assad regime, not the self-proclaimed Islamic State, which has been the focus of a year-long U.S.-led air campaign. And yet, the recent Russian moves, which threaten to undermine U.S.-led efforts over the last year, were met with hardly a shrug in some circles in Washington. “There are not discussions happening here about what this means for U.S. influence on the war against ISIS,” one defense official told The Daily Beast. That’s despite the fact that some unverified online videos indicate that the opening phases of such operations may have already begun. 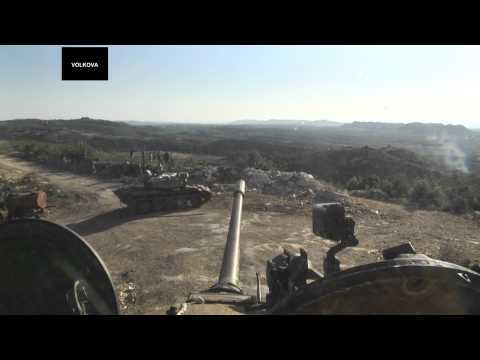 A video posted September 15 to YouTube appears to show Russian military forces in tanks alongside Syrian forces in the Lattakia region, a traditional Assad stronghold that has come under threat from anti-regime forces. Since last Friday, Moscow has sent two dozen additional fighter jets to Syria, bringing the total number in the country to 28. The same day, Defense Secretary Ash Carter spoke by phone to his Russian counterpart about what the Pentagon called “mechanisms for deconfliction,” a strong indication that Russia intended to conduct airstrikes in the same areas that U.S. forces and their coalition partners are now operating against ISIS.